A great mystery to solve. 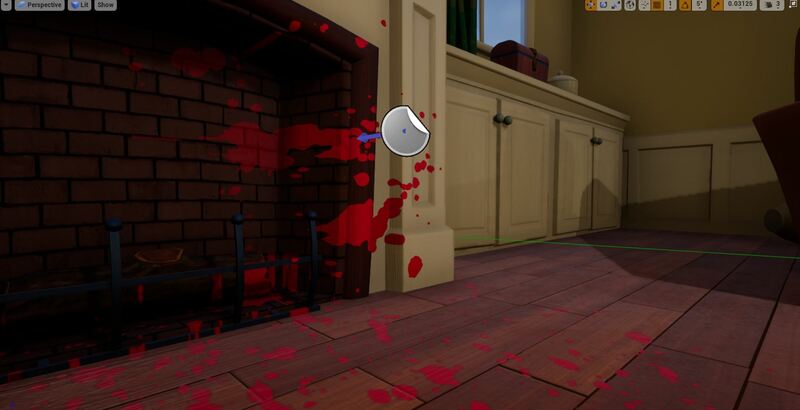 Food Crimes is a third person puzzle game of detectives. In Food Crimes you will feel the true spirit of the detective. Complete all the puzzles, mysteries and solve the crime of the mansion. 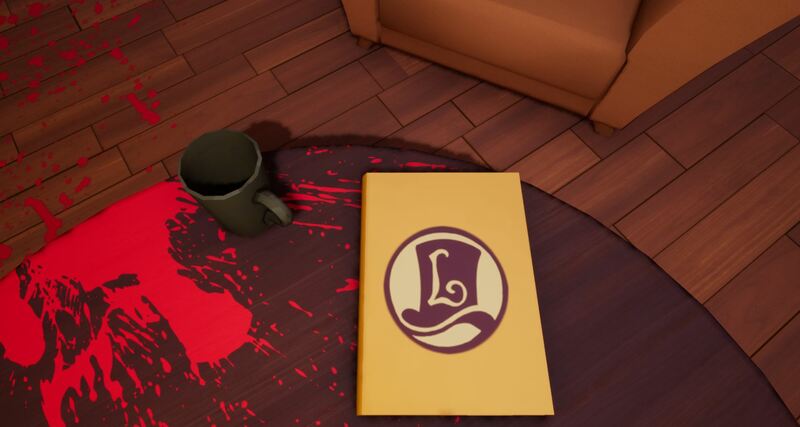 Finding out who the killer is is our goal in this adventure. And i mean a layton game, not a spin-off, but i wouldn't care that much, Lady Layton is cool. Thanks for making and sharing the video. It is very important for me to see that people enjoy the game. I will keep you informed if you want to play the game again and give me your impressions again. 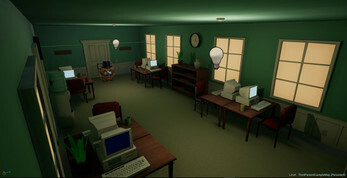 This version will contain an extra level between the office and the mansion. A more fluid gameplay and a more police ending. In which you will be given all the notes that you have taken in your investigation and thus be able to determine your suspicions and solve the mystery. When you say who has been the murder, you will be told why and why are you. Finally all the bugs and better visual effects will be implemented. Thank you again, we are in contact. I Liked the concept which you have proposed in the game. It is a simple, foolish, and fun experience. However I do believe there are a few steps needed in development to which would make the game more immersive. Perhaps taking time to design and implement character models instead of the spinning coin feature. 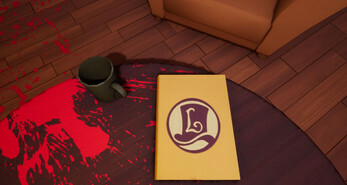 I found the clues disorienting as who actually appeared to have murdered Lady Baguette. Considering they were all present during the slashing, it would have been more interesting to have had to think of who the murderer was if clues of all the deaths were left for the investigator, instead of testimonials. Despite a foolish tone, there should be some relation to reality in actually police procedure. It was fun and a short experience. If you continue a game series with this, I would like to see a longer narrative just because it was enjoyable with the little time spent on Bread Edition. Thank you very much for giving me your opinion and in what points of view the game could be better. -In the future I would like to be able to model all the characters, for the moment I do not have enough time to do it but it is the idea. -The clues are disorganized, it seems that all suspects are mureders but really only one is, you're right and I'm working on it, thank you very much for reporting it. -I'm glad you liked the foolish tone. -As for everything else I am working on the final version of the game, it will be available within 2 weeks. I will keep you informed if you want to play the game again and give me your impressions again. When you say who has been the murder, you will be told why and why others are not. Thank you again and thank you very much for making my game better. I have reported all the errors and improvements that I have seen in the gameplay and your reactions. For example: It is necessary to put a menu where the controls go out. There was a time when you could not access the conversation with Mr banks in the living room, that was because you did not know that with SPACE you could jump, and this is a very important mistake because I did not tell you how to do it. Again, thank you very much for your review and also for making my game better. In 2 weeks I will release the final version, which will contain a level between the office and the mansion and in the mansion there will be 5 possible endings + the first floor and a more fluid gameplay with better interactions. I'll keep you updated in case you want to play again.